Wondering if Sesame Place is right for your child? Looking for a review, tips, suggestions and advice about visiting Sesame Place in Langhorne, Pennsylvania this Fall? Well, you've come to the right place! Langhorne is not a far ride from New Jersey and is definitely worth seeing if you have little Sesame Street fans at home! And just a note that I was NOT compensated in any way for this post, this is just an honest review of our visit there in the Fall, 'cause that's how I roll. If you're pressed for time, remember that my blog posts are reader friendly. You can easily scroll for the info you need. Check the headlines and be sure to read my JERSEY MOMMA TIPS at the end of this post. My post is centered around Sesame Place in the Fall (during The Count's Halloween Spooktacular), but my advice can be used year round! Other things to note: we visited specifically in the Fall, for the Count's Halloween Spooktacular, and each year their offerings are a little different, so be sure to check their website for exact info. The Jersey Momma's Boy is not a huge fan of characters in costume so we skipped the shows and parades. And finally, everyone who knows The Jersey Momma knows that I hate crowds. We did not visit Sesame Place on a weekend, so crowd levels could be significantly different on a weekend than what we experienced. I'll explain more about that below. Okay, enough of my jibber jabber. Let me tell you about this adorable place. What and Where is Sesame Place? Located in Langhorne, Pennsylvania, Sesame Place offers over 18 rides for kids, as well as parades and daily shows. Holiday themed events and character dining are also available. Check their website for more information, park hours, and calendar of events. In 2014, they opened Cookie's Monster Land, and in 2015, they added three new rides based on the the character of The Count. These were not yet opened when we visited, so check out their website for more info. 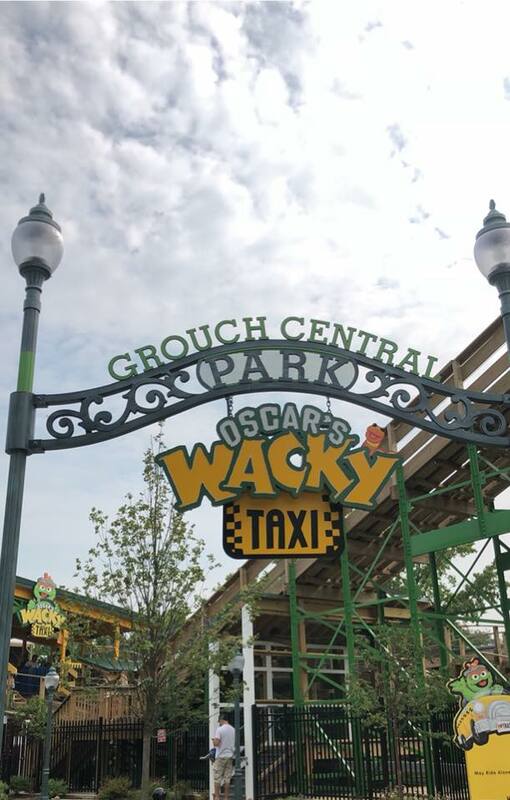 Brand new for 2018 is Oscar's Wacky Taxi Coaster Ride. So many fun rides to look forward to! The drive took us about a little over an hour from Central Jersey (but my dad was driving, so maybe we would have gotten there faster if I had been behind the wheel. Sorry, dad). I was very excited to be saving some bucks on admission, since Sesame Place's Facebook page had advertised a special added Friday opening (they are usually only open weekends in the Fall). They had a special rate for this particular Friday opening, as well as special hours. It was in honor of Elmo's birthday. So always keep your eyes peeled for discounts. Joining Sesame Place's email list might also help. However, what I made up for in ticket discount was quickly overshadowed by the parking fee, $20.00 (this was the cost as of the published date of this blog entry). Blech! All of the theme parks seem to do this and it just makes me cringe. Anyway, parking is in a lot across from the park. Although it's not a far walk, there is still walking involved, so unpack the stroller if you have one, because you'll need it for the walk to the park. VIP and preferred parking are also available for added fees. There is a special lot to park in for those with disabilities, too. Check out their FAQ page for exact cost of parking and where to find lots for guests with disabilities. Be prepared for cuteness overload. So many great photo ops, you won't know where to start! As soon as we entered the park, my son made a beeline for the roller coaster. He's just that kind of kid. Anyway, Grover's Vapor Trail was a significantly fast roller coaster, so hang on to your hats, Big Bird! After that we just kind of wandered around the park to see what we would enjoy. Look! Over there, next to the fix-it shop! It's Mr. Hooper's Store!! My son really enjoyed the Count's Halloween Spooktacular. Park employees presented him with a little trick-or-treat bag, and there were places throughout the park where he could stop and fill his bag with treats (they varied from candies to applesauce containers). Then we hit up The Count's Un-haunted Castle Maze. That was a cute walkthrough maze with interactive buttons to push. My son enjoyed that. Other Halloween themed events included Abby Cadabby's Magical Halloween Maze, the Not-So Spooky Hayride (we skipped this one), Rubber Duckie Costume Party and several Halloween shows/parades. The rides were a lot of fun (although the Vapor roller coaster still ranked #1 in my kid's book!) and they were oh so cute! Halloween surprises were hidden everywhere around the park if you looked hard enough. Eek! I spy a spider! 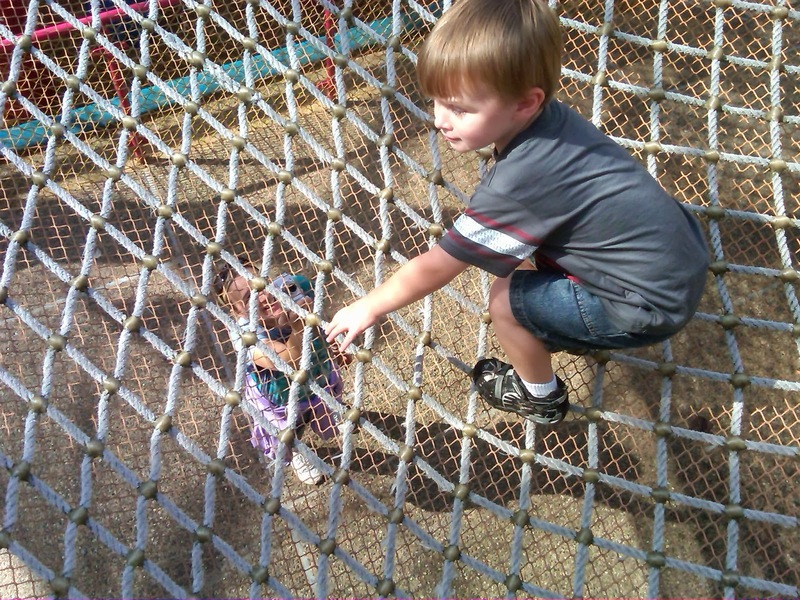 Sesame Place's website offers detailed descriptions to each of its rides, including the net ropes pictured above. Check out this link to read about their rides, since it would take me an awful long time to list them all here! After riding all of the rides we could, we headed over to the food court, which I found a tad bit disappointing. I know I am pretty frugal, but I just thought the food was expensive and not very good (think cafeteria style frozen pizzas and chicken fingers). I did like the little plastic Elmo plate that came with the kid meal we purchased, and we still use it today. Park rules allow you to bring in small (10"x10"x12"), soft coolers with small snacks, ready made sandwiches, fruit and baby food. Check out their FAQ page for more info. All in all, we enjoyed our day at Sesame Place. It's hard to have a bad time at places like this, because ultimately, you're creating a special memory for your family no matter what. For more theme park reviews from the Jersey Momma, check out our blog about Dorney Park's Planet Snoopy. The park is food allergy friendly and there is a lot of info on their website about how they can help guests with food allergies. The best discounts on admission tickets are available on sesameplace.com. Learn about our AAA discounts here. *Sesame Place offers sunny day tickets. If it rains for more than an hour while you're there, you can trade your ticket in for a "sunny day" ticket to use on another day. 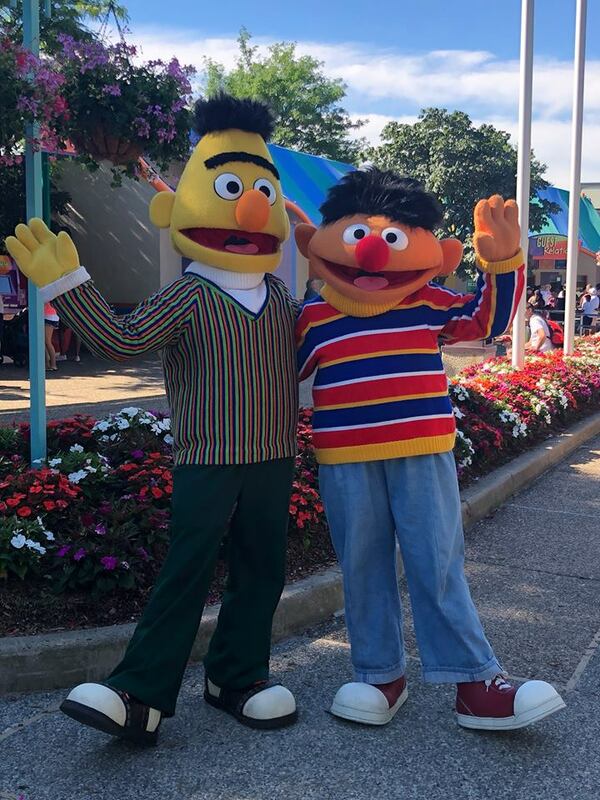 *Sesame Place is the first theme park in the country to be designated as a Certified Autism Center. Read more about it here! *Even though we went on an "off season" day, lines still formed quickly and the park did fill up. I suggest visiting early if you're going on a weekend. You know how I hate crowds! Or check out the newly added feature of Abby's Magical Queue to help you get through the lines quicker. *I have seen some negative reviews on the internet about the cleanliness of the park this year, but I don't know how true this is. As far as I'm concerned, you won't find Disney World cleanliness in any of these parks, but I don't recall anything being overly dirty. Feel free to comment below if you've visited recently and feel otherwise. * Check out their concert and event schedule for shows and parades. I have had friends see AMAZING up-close and personal concerts here like Choo Choo Soul and the Imagination Movers. *Sesame Place has added a ton of new perks for frequent visitors, such as the Abby's Magic Queue (similar to Disney's Fast Pass system), Photo Pass packages, Photo Key, Quick Pay and more. Check out the link 'Upgrade Your Visit' to learn more. *Last but not least, remember that you have a small window of time to bring your child to a place like this. 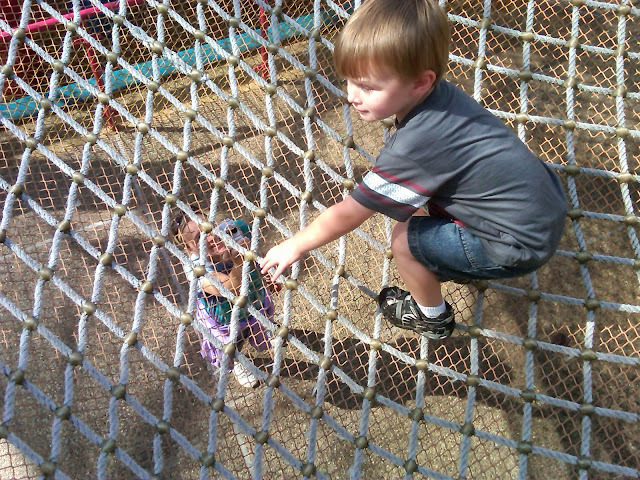 They grow up so fast and outgrow the desire to visit cute kiddie parks before you know it! That looks like it would be a lot of fun for kids. My husband and I took our two little ones this summer (2015). My husband was dreading going! The park was amazing! I didn't notice anything alarmingly dirty. Everything was bright and cheerful. We had a character lunch and the food was pretty good, buffet style and included dessert, personal visit by each of 5 characters and a dance show. My husband was in love within the first 30 minutes of arriving! Go early and remember, it's for the kids!! Great to hear!! Thanks for your input, especially since we've never done a character dining event there before. I loved your detailed review! However, you said you went on a weekday. I noticed for the Halloween and Christmas, they only have hours on the weekend. Was it different in 2015? thanks! Hi Nina! Thanks for your comment. You have to watch their Facebook page and email newsletter for specials. That day we went was a special weekday opening in honor of Elmo's birthday. I don't know if they will do that for 2016, but I think they might! I believe it was a Friday. Hi! Did you attend the Halloween Spooktacular in 2018, and if so, were the regular rides open? Thanks! Hi there! Sorry for the late reply. We did not attend the Count's Spectacular this year, but when we went MOST of the rides were open and pretty much just the water ride side was closed. I hope that helps!